Past Saturday, the Research Group “International Relations” held a last day of intense in-group discussion on the joint publication at La Manouba University. 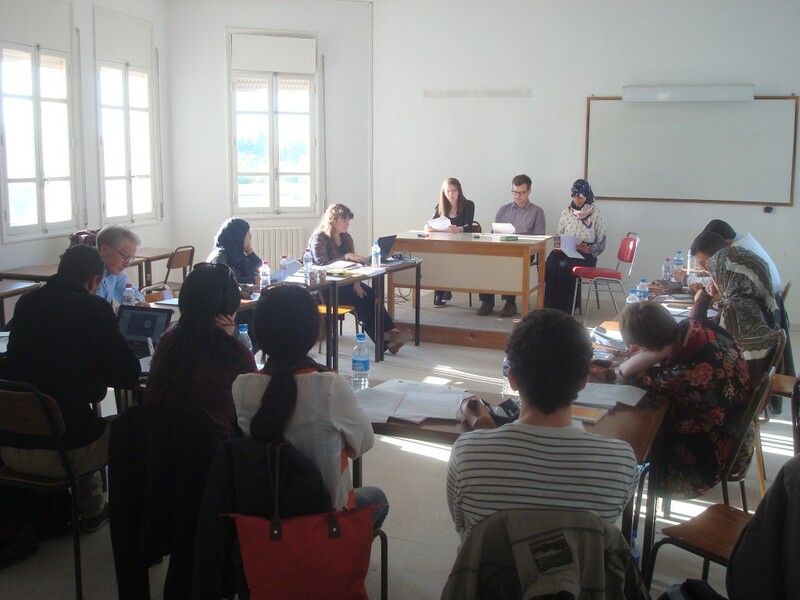 On Sunday, the two Research Clusters “International Relations” and “Media and Islam” then held a joint closing ceremony in Tunis: In the morning, they engaged in a group discussion on migration and refugee movements stimulated by lectures from Lorena Lando, International Organization for Migration, and Dr. Moez Ben Messaoud, University of La Manouba, that was animated by Tasnim Abderrahim. In the afternoon, a panel with Samir Dilou, Member of the Assembly of the Representatives of the People and former Minister for Human Rights and Transitional Justice, animated by Salma Besbes, assessed the status quo of the Tunisian transformation. A dinner reception rounded off the project closure. Please also check the official website allemagnepartenaire.tn, run by the German Embassy in Tunis, for short reports in French and Arabic. We would like to thank all the fellows, partners and further participants for their intense engagement in the project and the great last year. We are looking forward to finishing our publication projects within the next months!